The topic of body hair toes the line of TMI but we want to bring you all aspects of beauty, even if it could be touchy subject. When it comes to body hair removal, we’re familiar with shaving, tweezing, waxing and Intense Pulsed Light (IPL) treatment. The most permanent option is IPL because it cauterises the hair root so that the hair doesn’t grow back. But now, there’s a new kid on the block, Super Hair Removal (SHR), and it claims to be the better treatment option! So what is the difference between IPL and SHR? IPL uses a single intense pulse of energy that is targetted at melanin, which makes it effective on dark and coarse hair. However, this means that it has little effect on finer hair and people with a higher melanin count, or darker skin tones, will have more uncomfortable sessions since their skin will absorb more heat energy. 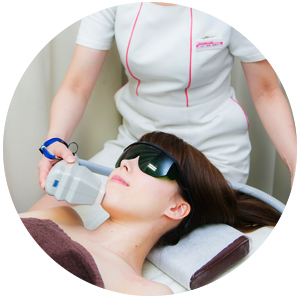 SHR, on the other hand, uses gentler pulses of energy at a higher frequency so the skin is heated gently. Furthermore, only 50% of the energy is targetted at melanin, which makes the hair less dark and coarse, while the other half targets the stem cells responsible for hair production. Therefore, both coarse and fine hairs are targetted and the removal process is more thorough and permanent. Also, because the heat applied to the skin is more gradual and gentle, it results in less trauma on the skin and it’s suitable for everyone, no matter the skin tone and even those with sensitive skin. Even though we say beauty is pain, we’d prefer beauty to be as painless as possible, right? Because SHR is so new, not many clinics in Singapore offer SHR treatments. 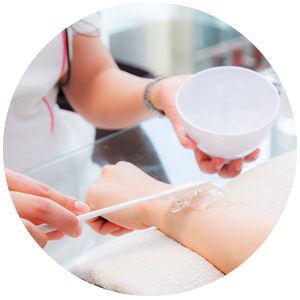 However, we’ve found a clinic that offers affordable, effective and convenient SHR treatments in Singapore! If you’re a follower of local blogger, Xia Xue, you may have heard of Datsumo Labo, a popular Japanese Hair Removal Salon. Datsumo Labo is one of the first clinics in Singapore that offer SHR treatments and has a range of package and price options to fit people’s budgets and needs. If you’re not sure whether SHR treatment is for you, you can book yourself a free consultation through a simple call, a WhatsApp text or through its website. We’ve also got a great deal at Datsumo Labo for our NYLON readers, during the GSS period! Quote “NYLON” and get $100 Off all packages during this GSS Period! For more information on Datsumo Labo’s latest promotions, packages and pricing, visit datsumo-labo.com.sg.